Reliance Industries - Media reports reveals that Reliance Jio is likely to enter market with very competitive pricing for its 4G services, way ahead of its peers offerings. This is to intensify competition and RIL JIO could gain market share. As per media reports, the SIM cards will be available at a cost of Rs200 and JIO will offer humongous 75GB of 4G data and 4500 minutes of call timeas well as some freebies.This is sentimentally positive for Reliance Industries. RBI eases ECB norms for Infra firms – positive for REC, PFC, L&T Finance Holding, SREI and infra firms,RBI allowed all companies engaged in the infrastructure sector to raise external commercial borrowings with a minimum maturity of five years, including those non-banking finance companies (NBFC) regulated by the RBI. Coal India has received a green nod from environment ministry panel with some riders to Coal India's Ashok open cast mining project in Jharkhand.The estimated production from the mine is in the range of 10 to 14 MTPA – Positive read thru for Coal India. Apollo Tyres appointed Steven Smidlein as a Senior VP to boost sales in North America. Steven Smidlein would be responsible for building the brand and sales in North America for both, Apollo and Vredestein brands.Steven comes with a 30+ years of experience in the sales Management and has served as a Director, OE Sales for a leading tyre maker in North America and as a Corporate Director for Daimler Chrysler. Aurobindo Pharma receives USFDA approval for Pantoprazole Sodium for Injection – Positive for Aurobindo.Aurobindo has received final approval from USFDA to manufacture and market Pantoprazole Sodium i.e. gProtonix. This product is expected to be launched in Q1 FY16-17. Pantoprazole Sodium for Injection is a gastrointestinal drug. As many as three public sector lenders including Bank of India and Central Bank of India received the approval from government for capital infusion of up to Rs2,375 crore. The government of India has conveyed their approval to infuse capital funds to the tune of Rs1, 150 crore in the banks by way of preferential allotment of equity shares in favour of government of India. This is part of the government's plans to infuse Rs5, 050 crore in the public sector banks. Besides, Allahabad Bank will get Rs690 crore while another public sector lender Central Bank of India will get fund infusion of Rs535 crore by way of preferential allotment of equity in favour of the government of India. Zee Entertainment Enterprise Ltd (ZEEL) will reorganize its channel distribution and advertisement sales functions. The board of the company has in-principle approved the proposal of reorganization of channel distribution function, which is presently handled by its wholly-owned subsidiary Taj Television. Shares of Tata Steel rose nearly 7%, touching to Rs325, after the company said it was exploring options to restructure its portfolio, including the potential divestment of Tata Steel UK, in whole or in parts. The company said it had incurred heavy losses on the UK business in the past 12 months and the recent transformation plan prepared by the European subsidiary, Strip Products UK, was unaffordable as it demanded 'material funding' support in the next two years. Cadila Healthcare’s US subsidiary Nesher Pharma gets USFDA nod for dextroamphetamine sulfate used to treat hyperactivity disorders and narcolepsy – Positive for Cadila. TVS Motor surged over 3%, touching to Rs326.1, after company had launched its new four strokes TVS XL 100 in Madhya Pradesh, Andhra Pradesh, Telangana and Maharashtra during the current month. On March 16, the company announced that it has made an arrangement with e-commerce major Snap deal to sell its two-wheelers online. Lupin slipped over 13% to Rs1294.05, after reports suggested that it has received a Form 483 (observation letter) from US drug regulator, USFDA for its Mandideep manufacturing facility. Lupin's active pharmaceutical ingredient ( API) and formulations units of Mandideep manufacturing facility in Madhya Pradesh have reportedly received two observations each after the facility was inspected by United States Food & Drug Administration ( USFDA) between February 08, to February 19, 2016. Ashok Leyland has sold 0.55% stake in Indusind Bank for Rs300 crore. The proceeds are likely to be utilized to reduce debt. The stock opened at Rs105.40 marking days low at Rs105.05 with an intraday high of Rs106.50 and is currently trading at Rs105.45 up by 0.67% on NSE so far. IDBI Bank has allotted 15.8 crore equity shares, equivalent to 7.16% stake for Rs850 crore, on preferential basis to Life Insurance Corporation of India (LIC), which now holds over 14.3% stake in IDBI Bank. The allotment of shares is part of IDBI Bank's plan to offload government shareholding as part of its privatization move. Cadila receives nod from USFDA to market Acyclovir tablets (manufacturing at Ahmedabad SEZ), used in treatment of AIDS – Sentimentally positive. Torrent Power has entered into a contract with a leading WTG manufacturing group for development of the 197.40 MW Wind Power Project across three sites in Kutch and Bhavnagar, Gujarat. This Project is expected to be commissioned progressively by March 2017 and shall have off take arrangements for fulfilment of Renewable Power Purchase Obligations (RPO). Reserve Bank of India has allowed the Bank to raise foreign institutional investment (FII) limit to 55%. The Reserve Bank of India, vide its letter dated March 22, 2016 has intimated that pursuant to the approval from the Foreign Investment Promotion Board, they are taking the foreign investment limit in Kotak Mahindra Bank to 55 per cent on their record, the Bank said in a filing to the Bombay Stock Exchange. Indiabulls Housing Finance said that it will raise Rs250 crore through private placement of non-convertible debentures (NCDs). 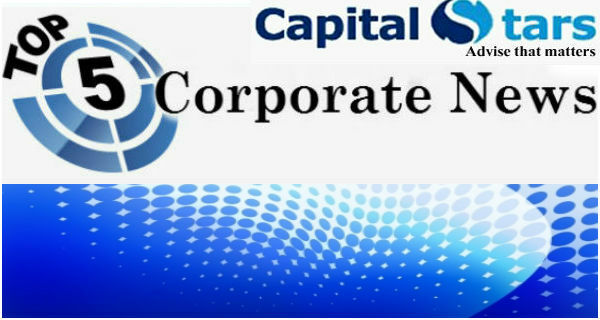 The issue of secured non-convertible redeemable debentures will open on March 29, which has also been fixed as the allotment date.The NCDs would be of four-year tenor and would have an annual coupon rate of 9.25%. Mahindra & Mahindra to launch compact sports vehicle NuvoSport on April 4,M&M plans to broaden its compact utility vehicle portfolio with the launch of the “ NuvoSport” that will come as a replacement to the Quanto. The company revealed the new vehicle’s pictures and confirmed to roll it out on April 4, 2016. Siemens India has sought an approval of its shareholders through postal ballots to sale its Healthcare arm to parent Siemens AG, Germany.The transaction will fetch Siemens India a lump-sum consideration of Rs3,050 crore and will be in effect from 1st July 2016. The results of postal ballot will be out on 29th April 2016. Glenmark Pharma gets USFDA approval for gEvista – Positive for Glenmark.Glenmark receives final approval from USFDA for gEvista i.e. Raloxifene Hydrochloride tables used to treat osteoporosis in women after menopause. Glenmark currently consists of 109 product approvals for US market and 60 ANDA’s pending approval with the USFDA. State-owned lender State Bank of India (SBI) on Tuesday said it has raised Rs500 crore through issuance of 5,000 Basel III compliant, tier-ll bonds in the nature of debentures on a private placement basis.The Bank has on March 21, 2016 issued 5,000, Basel III compliant, Tier-ll bonds in the nature of debentures, of face value of Rs10,00,000 each at par, with 10 year tenure, bearing 8.45 per cent p.a. 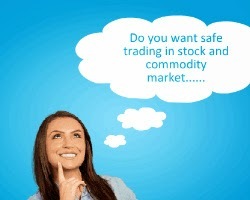 coupon payable annually and with call option after 5 years, aggregating to Rs500 crore on private placement basis. Bharti Airtel to close $179 million telecom tower deal (1350 towers) for Tanzania operations with American Tower Co by Jun. Infibeam Incorporation Ltd, the first e-commerce firm to tap the IPO route, saw its Rs450 crore issue getting subscribed 21% on the opening day. The issue received bids for 26, 44,792 shares as against the total issue size of 1, 25, 00,000 shares, as per NSE's data yesterday. 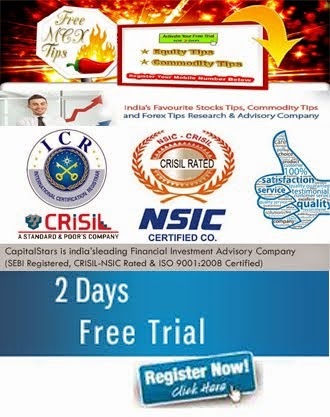 Government plans 100% FDI (automatic route) for commodity broking, IDF and other set of NBFCs—positive read thru for Religare Enterprises, IDFC, Motilal Oswal Financial etcAs per media reports, the Government is expected to propose 100% FDI in 25 more segments of NBFCs including commodity broking and infrastructure debt fund with a view to attract more foreign inflows. Emami drags Patanjali to court, claims Patanjali launch of ‘ Kesh Kanti’ as an infringement of its trade mark ‘ Kesh King’ – court directed Patanjali to stop selling product for 10 weeks; sentimentally positive for Emami. Emami Ltd has gone into confrontational mode, accusing the Baba Ramdev-promoted ayurvedic behemoth of copying design and trade mark of its ' Kesh King' brand of hair tonic. Persistent Systems has tied-up with IBM to jointly work on the latter’s Internet of Things (IoT) platform. The Company’s management stated that the partnership will be revenue accretive and will add about 15-20% to the company’s revenue in FY2017.The deal will also add close to 500 employees which includes experts from IBM. The Company has also set up subsidiaries in Mexico and Israel in collaboration with IBM. ITC market share in instant noodles segment rises to 30-40% (from 20% earlier) - positive for ITC’s non-cigarette FMCG business.ITC sales of its instant noodles brand Yippee are recovering and its market share has risen in the range of 30 to 40% (from 20%). pre-Maggi controversy the industry sales were Rs 250-300 crore per month.The industry sales tanked to 5-10 per cent after the controversy broke, but now it is able to recover to nearly 50% of the original industry sales. State-run Bharat Heavy Electricals Ltd (BHEL) on Monday said it has commissioned second 270 MW coal-based unit in Punjab.The unit has been commissioned at the 2x270 MW Goindwal Sahib coal-fired thermal power project of GVK Power & Infra Ltd (GVKPIL), located in Goindwal Sahib in Tarn Taran district, near Amritsar, Punjab. Aurobindo receives final approval from USFDA to manufacture and market Naproxen Sodium Tablets (OTC). This product is expected to be launched in Q1 FY16-17. Naproxen Sodium Tablets is used in the treatment and prevention of osteoporosis in postmenopausal women. ZEEL is in talks with Reliance Broadcast Network Ltd (RBNL) to acquire 49% stake in the latter's BIG FM radio business as well as a 100% stake in its television channels. If the deals happen it will be a long term positive for ZEEL, as it will consolidate its positioning in broadcasting business and also foray into the Radio segment will expand its value chain in the Media and Entertainment space, though deal valuation will be crucial to gauge impact in near to medium term. Hindustan Unilever has signed an agreement with LT Foods for sale of its rice exports business for a consideration of Rs25 crore as it looks to exit non-core businesses.The brands registered a turnover of Rs51 crore as per audited financials for the year 2014-15. Positive for LT foods, Neutral for HUL. ONGC and Rosneft, Russia have entered into preliminary agreement to supply long term crude oil & feedstock to ONGC’s refining are MRPL.This will ensure a long term crude oil supply for MRPL and thus it will not have to purchase at the volatile market prices. – Positive read thru for MRPL. Shares of Lupin dipped over 7%, touching to Rs1535, after CLSA downgraded the stock to underperform from buy and slashed target price to Rs1, 800 from Rs2, 162 earlier as it does not see near-term catalyst. It expects the stock to remain range bound until clarity emerges on the Goa observations. Out of nine USFDA (US Food and Drug Administration) observations in Form 483 on Lupin’s Goa plant, two are repeat from the July 2015 inspection (Observation No 2 and 4) while two are worrying (No 1 and 4), feels the brokerage. Glenmark has been granted tentative approval by the USFDA for its Lacosamide Oral Solution, i.e. gVimpat of UCB, Inc.Glenmark will market this product upon receiving final approval and the patent is scheduled to expire on March 17, 2022. Glenmark’s current portfolio consists of 108 products authorized for distribution in the US. marketplace and 61 ANDA’s pending approval with the USFDA. Guenter Butschek the new chief executive and managing director of Tata Motors is set to initiate some crucial operational changes, overhaul the brand positioning and spruce up manufacturing processes to make the company more agile and future ready. ‘Butschek, 55, who took over the reins a month ago, said that his focus will be to make the company leaner and more flexible, which will help in responding to market changes faster than it has historically. Pharma major, Biocon said that though its wholly owned subsidiary Biocon SA, it has entered into a co-development and commercialization agreement with Laboratories PiSA. The Company through its wholly owned subsidiary Biocon SA, has entered into a co-development and commercialization agreement with Laboratories PiSA S.A. de C.V (PiSA) of Mexico for generic recombinant human insulin (rh- insulin) for the US market. Shares of Hindustan Petroleum Corporation (HPCL) rose nearly 4% to Rs764.95, after the petrol and diesel prices were hiked on Wednesday.The retail selling price of petrol is increased by Rs3.07/litre and diesel by Rs1.90/litre at Delhi (including state levies) with corresponding price revision in other states. Financial Technologies said that it has exited from Dubai Gold and Commodities Exchange (DGCX) by selling its 13% stake in the bourse to Dubai Multi Commodities Centre (DMCC). Financial Technologies (India) Ltd (FTIL) today concluded the transaction relating to sale of its 13% stake in DGCX to Dubai Multi Commodities Centre (DMCC), a Government of Dubai enterprise.The deal concluded after it got an approval from the Reserve Bank of India (RBI) on March 4. Road developer IRB Infrastructure Developers Ltd said that it has received the Securities and Exchange Board of India’s (Sebi) approval to launch an infrastructure investment trust (InvIT).Sebi has granted the certificate of registration in terms of Regulation 6 of SEBI (Infrastructure Investment Trusts) Regulations, 2014 (Regulations) to IRB InvIT Fund to which the Company is a Sponsor. TCS launches peer-to-peer mobile payment solution with DNB, TCS announced the successful launch of Norway’s first peer-to-peer mobile payment solution with DNB, the largest financial services group in Norway.Dubbed Vipps, DNBs peer-to-peer mobile payments application is not just for account holders of DNB, but can be used by any consumer.